I suppose I recorded While the City Sleeps because it has Ida Lupino in it. I discovered that little dynamo in They Drive by Night with Humphrey Bogart, but I nearly did not recognize her in this film. 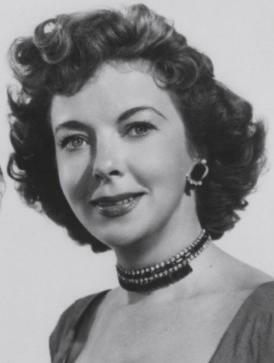 What I remembered and so identified with in my first Lupino viewing was a scrawny, dark-featured woman with a certain uniqueness to her speech, but what I found in While the City Sleeps was a curvy vixen with a lightness to her look and what seemed to be a completely different voice and persona, but maybe that’s acting. I must say although Lupino gave a great performance in While the City Sleeps I preferred the look I had come to know opposite Bogart and in some crummy musical TCM must have mislabeled as three-star quality. Lupino in "They Drive by Night"
Putting those feelings aside, I was incorrectly delighted with While the City Sleeps when the opening credits revealed not only was Dana Andrews also in the cast, but so was George Sanders and Vincent Price. Jackpot! Battle of the Talls, I thought (Price takes the prize, by the way). Ida Lupino in "While the City Sleeps"
Unfortunately, this film, although having the backing of fantastic director Fritz Lang, was a bit sloppy in its plot. Not only does the narrative cover the search for the “Lipstick Killer” by one reporter, but also details a battle between three newspaper bigwigs as they seek to impress the new boss (Price) who recently inherited the firm and is dangling an “executive director” position before their noses. Add into that some complex romances among married but mostly unmarried individuals, and one is not sure to what exactly he is supposed to pay attention. Being a reporter, While the City Sleeps affords me the opportunity to whine about how important, impressive, and all around cool reporters used to be. Today one is lucky to find a job in print journalism let alone see a movie with a plot strictly centered on a gent in the field. Journalists played central roles in so many films from the bygone era to the point I will not bother to list those that come to mind, for there are too many. In While the City Sleeps, Andrews’ character is such a well-reputed reporter that he is granted access to witness interrogation, confessions etc. In this flick it is Andrews’ reporter who chases down the murderer and captures him. Fat chance of that happening today (or probably in real life at any point). I can only imagine what it must be like to work in a well reputed field. A gal can dream.